Please give the enclosed to Mr. Oppenheimer3 for publicity. Isn’t it a joke, with those two numerical titles? “One of Ours4 and Three Soldiers5 by Two Americans,” as one of the french papers puts it! The dinner was to have been given for me and your Spaniard, Baroja6, but he characteristically didn’t get here, so the secretary snatched up Dos Passos7. It has been black winter here2 for one month, with rains every day. I am daily awaiting the typewriter8. Is Claude9 still selling10, by the way? With best regards from all of us11. Cather is referring to One of Ours by the name of its protagonist, Claude Wheeler. On 14 June 1923, Knopf reported that, "stimulated very nicely" by the Pulitzer, One of Ours was selling "about five hundred copies a week." Oppenheimer, George (1900-1977). 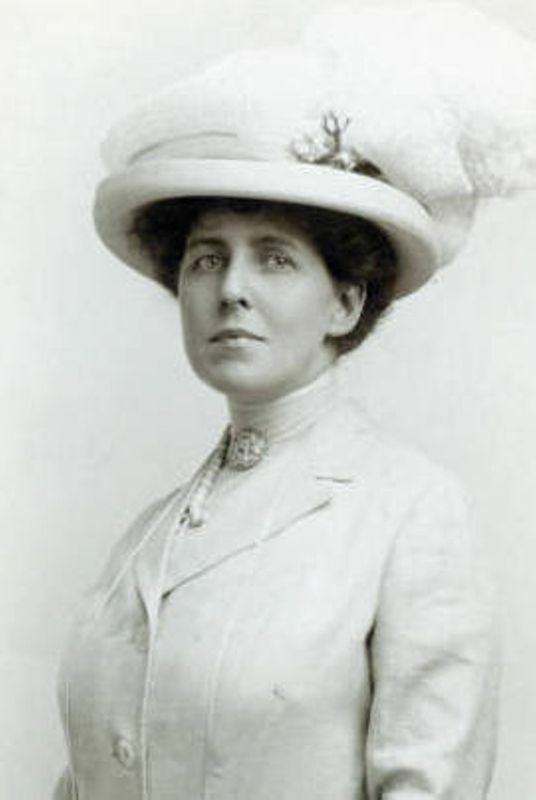 American publisher, writer, and critic. Born in New York City, George Oppenheimer graduated from Williams College (1920) and studied playwriting in George Pierce Baker’s 47 Workshop course at Harvard University. He then became advertising and publicity manager for Alfred A. Knopf, Inc., and helped to publicize works by Willa Cather, H. L. Mencken, George Jean Nathan, and others. Oppenheimer co-founded Viking Press (1925) before moving to Hollywood to work as a screenwriter. He moved back to New York City in 1955 to work as a writer for Newsday. Baroja, Pío (1872-1956). Spanish writer. Born in San Sebastián, Spain, Pío Baroja earned an M.D. in 1893, briefly practicing medicine in Cestona before returning to Madrid to manage his aunt’s bakery. In 1902 he began writing full-time. Baroja wrote over one hundred novels including Somber Lives (1900), The House of the Aizgorri (1900), The Struggle for Life (122-24), and The Tree of Knowledge (1928). Soon after the firm’s founding, Alfred A. Knopf, Inc. began publishing Baroja’s work in translation. 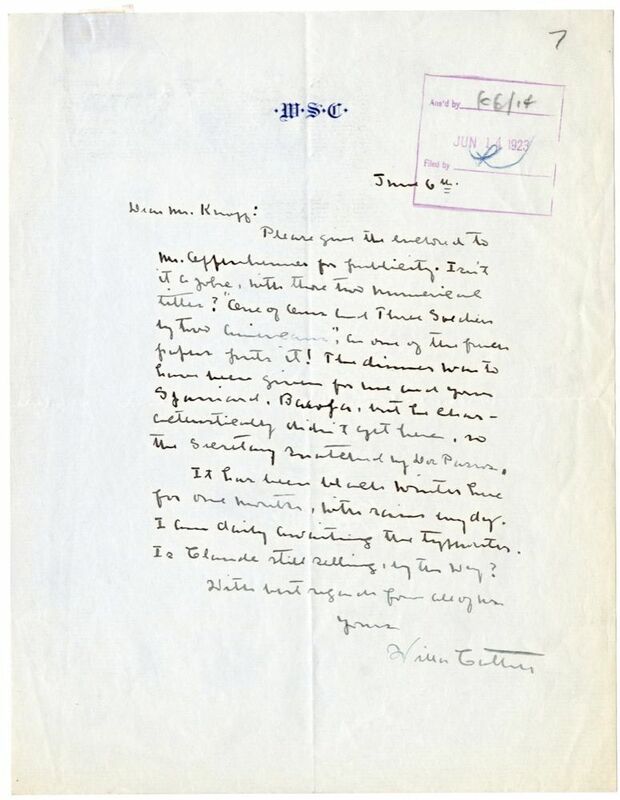 In 1923, Cather was supposed to meet him in Paris, but he “characteristically” didn’t show (#2555). 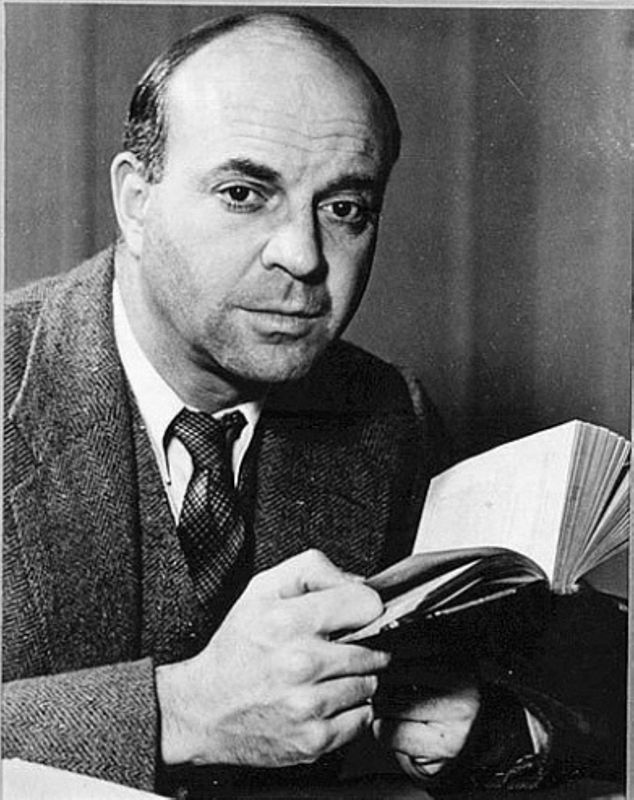 Dos Passos, John (1896-1970). American novelist. 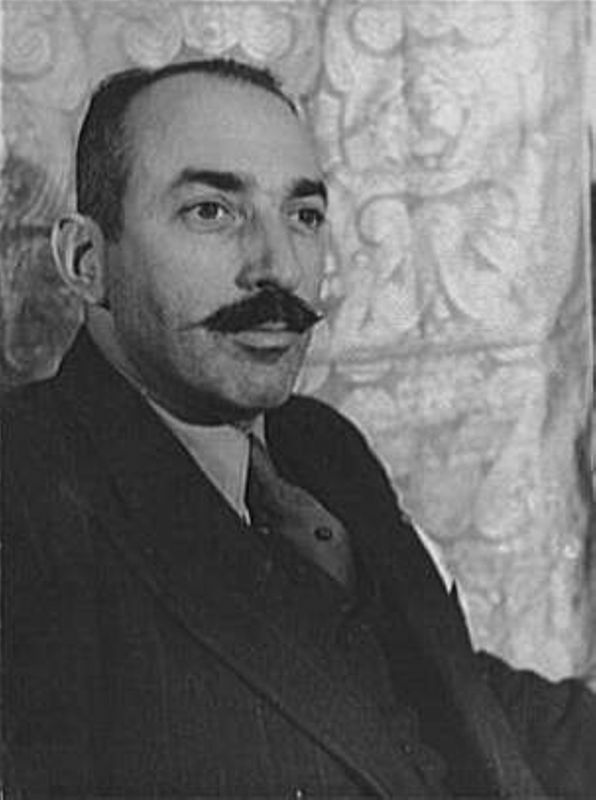 Dos Passos served as an ambulance driver during World War I and later became known for his association with the Lost Generation, his writing about the war, and his experimental narrative style. His novel Three Soldiers (1921) appeared a year before Cather's One of Ours (1922) and became a ready comparator invoked by H.L. Mencken and other reviewers critical of her treatment of the war for its lack of a basis in experience and its relatively idealizing tone.